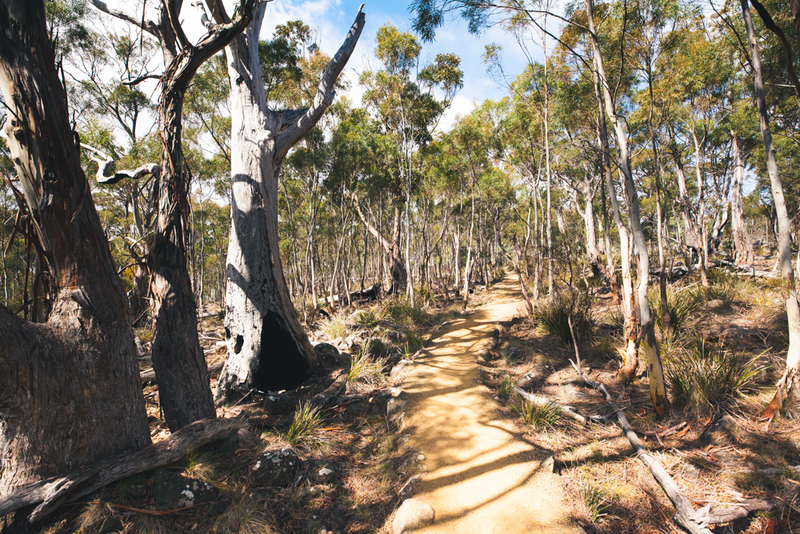 Located only a 5 minute drive west of Hobart’s city centre, the Knocklofty Reserve offers a relaxing network of fire trails and walking tracks through scenic open bushland. With access available to dog walkers and bike riders, Knocklofty is an ideal spot for an afternoon’s adventure close to Hobart. 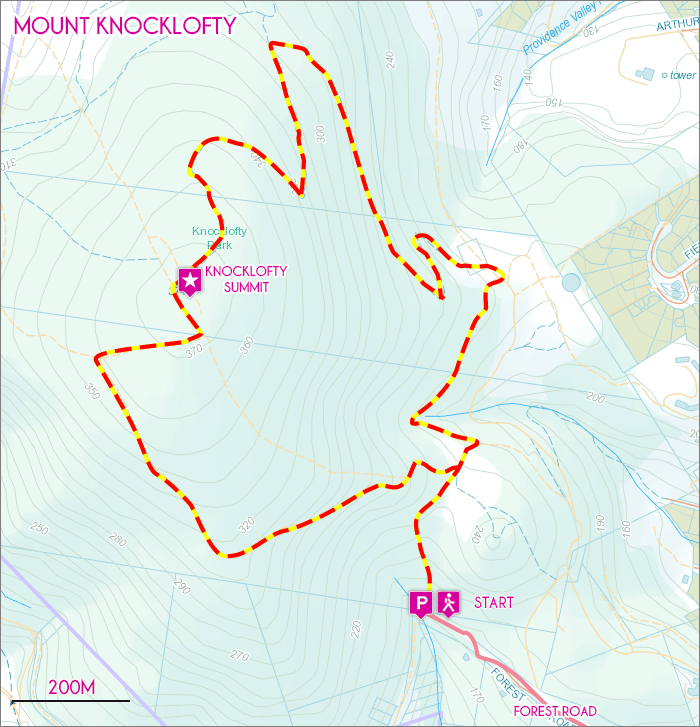 The 4km Knocklofty Summit circuit is a lovely way to explore all the main features of the reserve. View Google Map Directions Knocklofty Reserve on the outskirts of Hobart can be accessed from many different trailheads. This route begins from Forest Road, West Hobart. To get to Forest Road follow Goulburn Street for 500m before turning left onto Forest Road. The Knocklofty Summit walk begins at the end of this road. 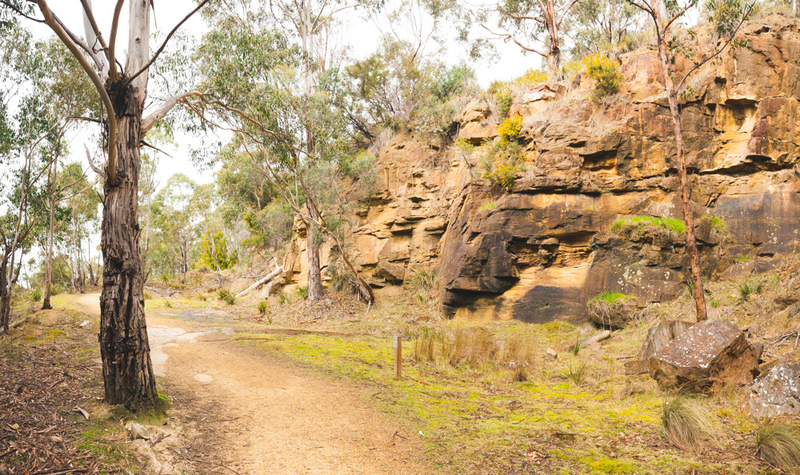 This suggested route takes in a majority of the lower sections of Knocklofty Reserve before climbing to Knocklofty summit in an anti-clockwise direction. From the trailhead at Forest Road, the track softly climbs through open bushland to Frog Ponds. Here, the Friends of Knocklofty Bushcare Group have re-established a small wetlands habitat to host local frog life. 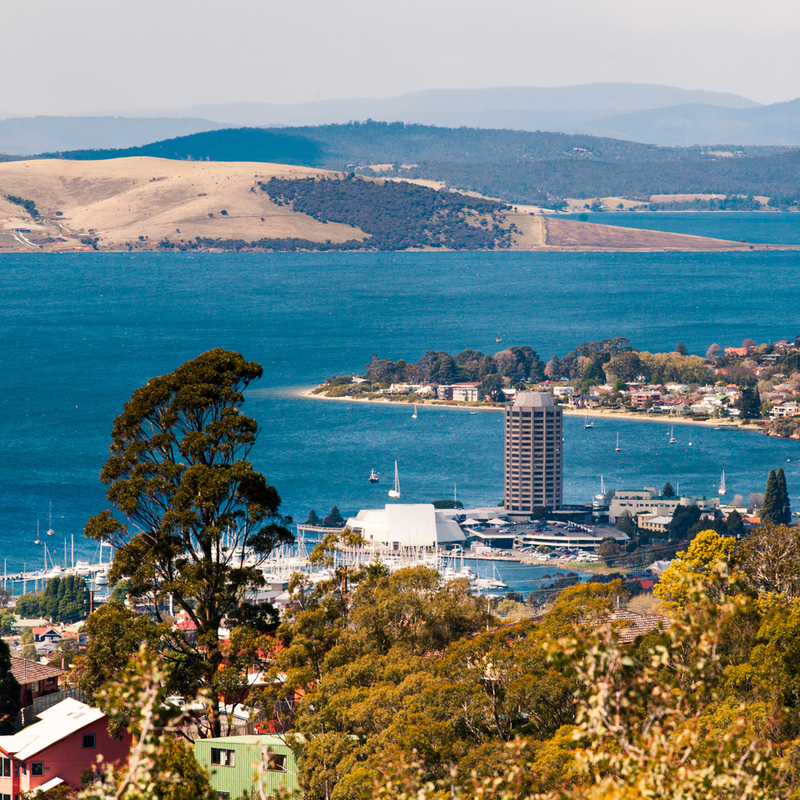 On the way, the Glover Walk side track takes you past a series of interpretive signs provide insights into life in Hobart during the early 1800’s when the colonial painter John Glover produced work in the area. The main trail continues and gently meanders uphill towards the Mount Stuart entry to the reserve. Be sure to follow the signage directing you uphill towards the summit lookout. The trail soon steepens but the picturesque bushland setting makes for an enjoyable 100m climb to the peak at 375m. Through the trees, the towering form of kunanyi (Mount Wellington) can be spotted. The trail returns to the West Hobart trailhead via the southern fire trail. Be sure to watch your steps as the decent can be steep at times with loose gravel underfoot. As the trail flattens out, comprehensive views of Hobart and the Derwent River are offered, presenting a delightful end to the 4km circuit hike.